Berjaya Times Square Theme Parkis the biggest indoor amusement park in Malaysia, this is best one Top Destinationin Malaysia. The park is addressed in Level 5, 1 Jalan Imbi, KL City Centre. This park is also known as Cosmo’s World Theme Park. This park has a 14 rides in 12000 square meters area. The rides are divided into two themes, Galaxy Station and The Fantasy Garden. The Galaxy Station is for the teenagers and adults. The Fantasy Garden is for kids. Berjaya Times Square Theme Parkis open every day. Berjaya Times Square Theme Park Opening Hours are from 12 PM – 10 PM (Monday to Friday). For Saturday, Sunday, and holiday is from 11 AM – 10 PM. 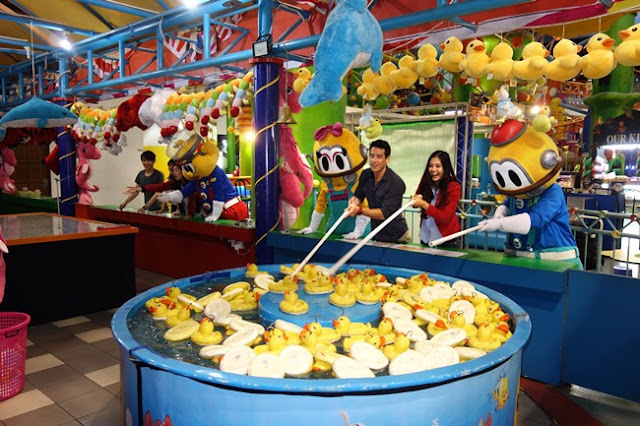 The entrance tickets in this park are: for adult (13 years and above) is RM48, for child (3-12 years) is RM38, for family rides in the 7th floor is RM25, for family package (for 2 adults and 2 children) is RM138, Senior Citixen (55 years and above) is RM15, for the disabled is RM10, and for the child below 3 years is free. This is Berjaya Times Square Theme Park Review. This place is easy to reach because the location is near from Bukit Bintang. In this park, you can shop at the biggest mall in Malaysia, you can watch movie or eat in the restaurants. Besides that, you can go to the theme park that connected to Monorail Station. Berjaya Times Square Theme Park is safe because the rides for the children and for the adult is separated. For the adult rides, Galaxy Station, they have 6 rides that can make you shout. If you want to try this, make sure that you are not eating any food or drink before it. If you want to go there and try the adrenaline pumping ride, better that you watch the others that ride it first. After that, you can decide want to ride it or not. The most important thing is to make the best memory in this park. Do not be afraid to laugh and shout at Berjaya Times Square Theme Park.